The world continues to evolve as technologies improve over time. Who would’ve thought smart gadgets would become an important part of our lives today? How about the Internet? It’s the information superhighway and the web that holds almost everything (and everyone) together. With its help, everything we now have become a reality. And as technology keeps on improving, more and more individuals and groups merge and use the web for a variety of reasons. For instance, there is a greater need for computer servers today. A computer server is where data and files are stored and also facilitates the retrieval and sending of these data to other networks through a wired or wireless connection. Most of the time, small businesses connect their computers using a local network. Meanwhile, the World Wide Web is the global network that uses countless computer servers from all over the world. 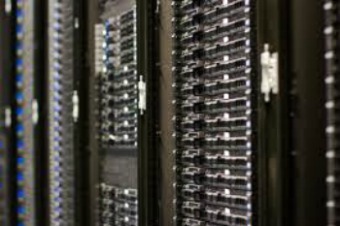 Servers can store more data and have more processing power than your typical computer and are the backbone for all the progress we now enjoy today. The world couldn’t function without this hardware, including refrigerator-sized racks of computer servers that are the matched set for each interaction of a digital device. Every time someone asks Amazon Echo to play music or Walmart crunches numbers on its inventory, computer servers somewhere are firing on for those tasks. Most people wouldn’t know a computer server if they saw one. But with the notable exception of transportation, few corners of technology are undergoing more disruptive change with so much money at stake. Sales of servers and other equipment for the world’s digital backbone was a stodgy affair for decades, controlled by stodgy companies such as IBM, Dell and the company now called Hewlett Packard Enterprise. It’s not stodgy anymore. Most computer servers used by big companies like Amazon and Google are actually manufactured by nameless Asian companies that supply the needed customized hardware by these tech giants that provide the server needs of many small-time businesses and individuals throughout the globe. They don’t always buy the more popular brands sold by equally big names in the industry because of the higher price tag. Storage had to be cheap but reliable and for many industries was an important part of corporate governance and compliance. But the bottle neck was in processing power – faster servers were more important than more quickly accessible memory. That old storage world has disappeared into the cloud. In house storage and back-up systems cannot compete with cloud providers on price or ease of use. You can call up more storage resources instantly and you don’t have to pay for capacity you’re not using and you don’t lose space in your data centre. At the same time the demand from the business for storage closer to hand is growing at an ever accelerating rate. Despite the growing popularity of the cloud, companies that offer cloud-based services still make use of physical servers in their own chilly warehouses to meet the increasing computing and data storage needs of individuals who either use smart gadgets or computers at home, at work, or in school. More often than not, it is more cost-effective to use the cloud rather than pay for your own server facility especially if you are still a struggling start-up. It’s a different story if we talk about big data but the fact remains that the world needs computer servers more than ever. Regardless of the importance of computer servers, most ordinary individuals only concern themselves about hard drives because their computers are virtually useless without it. If you want to spare yourself from the worries of hard drive failure and eventual data loss, learn to prevent the problem before it even happens. For clicking noises, this may come in handy https://www.harddrivefailurerecovery.net/is-your-hard-drive-making-a-clicking-noise/. For small businesses using a much older server like RAID servers, https://www.harddrivefailurerecovery.net/raid-recovery/ can give you insights about RAID data recovery. 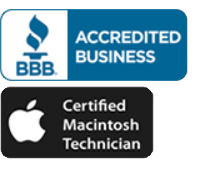 Or, you can always count on us for expert help at a reasonable price.